The emerging Local Plan and its supporting studies set out our vision for South Oxfordshire up to the year 2034. Together they identify where housing, retail and employment land should be located as well as the infrastructure required to support this growth, such as new roads, schools, health services and utilities. The proposed policies in the plan will be used as the starting point to help make decisions on planning applications in the district. A series of drop-in events to help explain the process and how to submit your comments is being held across the district. You can attend any of them but the closest is in Henley Town Hall on Saturday January 19 from 10am - 2pm. A hard copy of the plan is held by the Parish Council, which made some comments on the previous version of the plan last year and will be scrutinising this one. You can read the plan on-line and submit comments via the response form on the website, or collect one at the drop-in event and post it to Planning Policy, SODC, 135 Eastern Avenue, Milton Park, Abingdon, OX14 4SB. 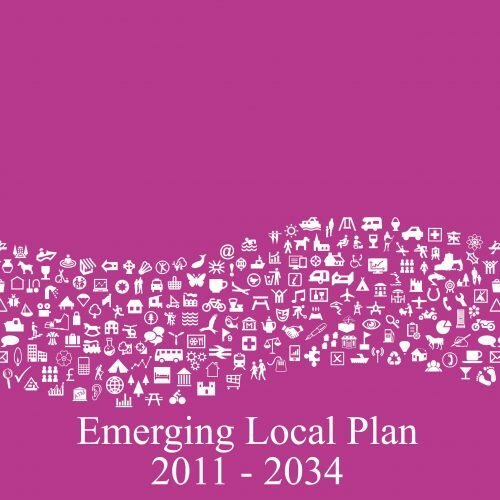 The emerging Local Plan and its supporting studies set out the vision for South Oxfordshire up to the year 2034. Together they identify where housing, retail and employment land should be located as well as the infrastructure required to support this growth, such as new roads, schools, health services and utilities. The proposed policies in the plan will be used as the starting point to help make decisions on planning applications in the district. In May last year, councillors asked officers to reassess all main sites available for housing in the district. Since then, we have been reassessing the main sites that were allocated in the last draft of the Local Plan, along with sites promoted to us and the sites that were previously considered but not taken forward. That assessment has now been fed into the new draft of the Local Plan; you can download a briefing note that explains the key changes. Before the plan is submitted for examination, SODC is carrying out a six-week publicity period. After this, the plan, evidence and responses received will be submitted direct to the Secretary of State. A Planning Inspector will then be appointed to carry out an independent examination.